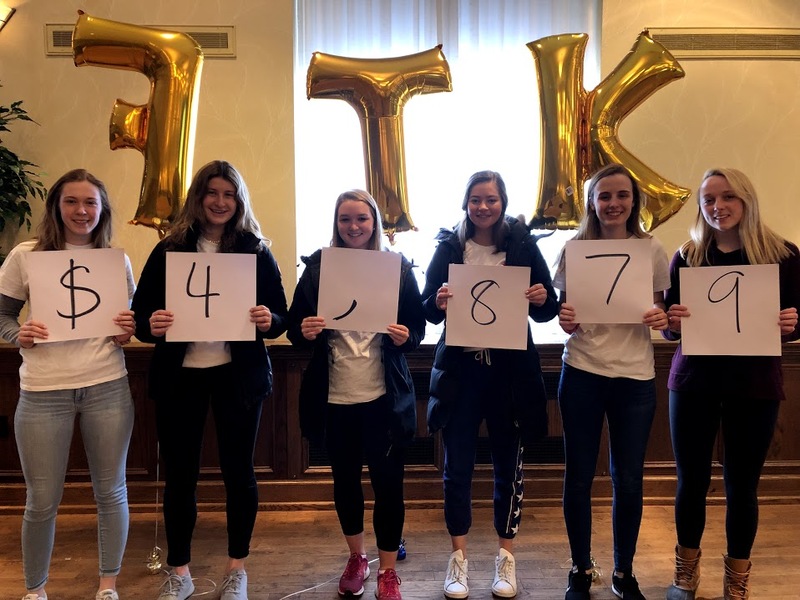 Over the weekend of March 1-3, 29 collegiate and independent high school Dance Marathon programs hosted their annual events, resulting in a total of $7,491,156.26 raised #ForTheKids at local Children’s Miracle Network Hospitals! This total makes last weekend the highest fundraising weekend in Miracle Network Dance Marathon history, topping the same weekend last year’s (March 2-3) total of $7.2 million. Dutchathon at Central College in Pella, Iowa raised $11,047.08 benefitting the University of Iowa Stead Family Children’s Hospital in Iowa City, Iowa. After a year of hard work, yesterday we spent time celebrating with our miracle kiddos and families. We danced, sang, played games, and had lots of fun! A special thank you goes out to our dancers, sponsors, and donors. Altogether, we made $11,047.08 worth of miracles For The Kids! Clemson Miracle benefits GHS Children’s Hospital in Greenville, South Carolina. THANK YOU to everyone who helped us make $230,759.48 miracles for the kids at GHS! We could not have done this without you! Concordia University Dance Marathon benefits the Ann & Robert H. Lurie Children’s Hospital in Chicago, Illinois. 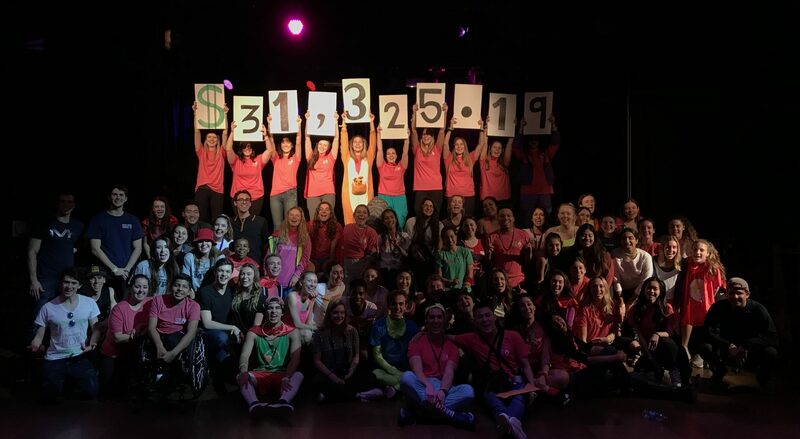 Dance Marathon at Florida State University benefits UF Health Shands Children’s Hospital in Gainesville, Florida. This past year, we set out to #BeTheNext individuals changing the lives of our miracle children of today, and tomorrow. Throughout the year, we united as one movement to help make 2,210,165.21 miracles a reality For The Kids being treated at UFHealth Shands Children’s Hospital and the children in Gadsden county. None of this would have been possible without our dancers, fundraisers and donors who saw our hope and passion to shape the future. GW Dance Marathon benefits Children’s National Health System in Washington, D.C.
12 hours and a whole lot of fun later, thank you GWDM 2019, and thank you to everyone that donated! For The Kids at Georgia Tech benefits Children’s Healthcare of Atlanta in Atlanta, Georgia. This is what 322,314 miracles looks like. There are no words to express how grateful we are for each and every person involved in this movement. Thank you. Jagathon at IUPUI benefits Riley Hospital for Children in Indianapolis, Indiana. Together, we revealed our #PowerOfPurpose and inspired those around us to create over 605,000 miracles FTK! We are so thankful to all those who have supported us throughout our journey! TOGETHER, we brought hope to the children at Riley! Miracle at KSU benefits Children’s Healthcare of Atlanta in Atlanta, Georgia. KSU Flashathon benefits Akron Children’s Hospital in Akron, Ohio. Montana State University Dance Marathon hosted their inaugural Dance Marathon event benefitting Shodair Children’s Hospital in Helena, Montana. MSU Dance Marathon is also the first Miracle Network Dance Marathon program in the state of Montana! 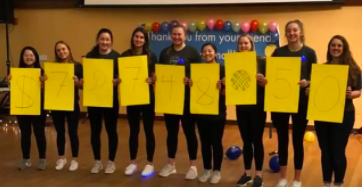 Nichols College Bisonthon raised $7,859.00 at their 2019 Dance Marathon event for Boston Children’s Hospital in Boston, Massachusetts. Northeastern State University Dance Marathon benefits The Children’s Hospital at Saint Francis in Tulsa, Oklahoma. We want to thank EVERYONE that came out and donated today for St. Francis!!! We raised $15,100.03 for the kids!!!! Simpson College Stormathon benefits the University of Iowa Stead Family Children’s Hospital in Iowa City, Iowa. What a fundraising year! We fundraised an outstanding amount of $22K this past year FTK!!! We couldn’t have done it without all of the amazing support from everyone involved this year! Aggie Miracle benefits McLane Children’s Medical Center in Temple, Texas. Thank you so much to everyone who came out to ADM 2019! We raised $186,868.89 for the kids!! TCU Dance Marathon benefits Cook Children’s Medical Center in Fort Worth, Texas. Trinthon benefits Connecticut Children’s Medical Center in Hartford, Connecticut. Tufts University Dance Marathon benefits Boston Children’s Hospital in Boston, Massachusetts. Black BearTHON benefits the Northern Light Eastern Maine Medical Center in Bangor, Maine. Minnesota Dance Marathon benefits Gillette Children’s Specialized Healthcare in St. Paul, Minnesota. Thank you everyone who participated in today’s event! It means everything to the kids! Hope to see you next year!! Wolfpack Dance Marathon benefits Renown Children’s Hospital in Reno, Nevada. Thank you so much to everyone who came out and supported us! None of this would have been possible without your help! University of Northern Iowa Dance Marathon benefits the University of Iowa Stead Family Children’s Hospital in Iowa City, Iowa. Soonerthon benefits the Children’s Hospital Foundation in Oklahoma City, Oklahoma. CAC Soonerthon 2019Hard to believe my last Soonerthon as a student at OU is officially over. Can't wait to see the miracles this incredible organization continues to make.Featuring: "Together" by Martin GarrixVideo not for profit. All media copyright of its respective owners. THANK YOU! Today, we made 900,226.19 miracles happen for the kids of Oklahoma and it would not have been possible without you! University of Oregon Dance Marathon benefits PeaceHealth Sacred Heart Medical Center in Springfield, Oregon. USC Dance Marathon benefits Palmetto Health Children’s Hospital in Columbia, South Carolina. $1,038,156 miracles were made tonight for the kids at Palmetto Health Children’s Hospital. Thank you from the bottom of our hearts. We did it. Trojan Dance Marathon benefits Children’s Hospital Los Angeles in Los Angeles, California. Texas THON benefits Dell Children’s Medical Center of Central Texas in Austin, Texas. RALLYTHON benefits the University of Vermont Children’s Hospital in Burlington, Vermont. Panther Miracle Network Dance Marathon benefits the Children’s Hospital of Wisconsin in Milwaukee, Wisconsin. Over $70,000 raised #ForTheKids❗️THANK YOU to al of our donors, dancers, advisors and executive board members who made #WVUDM19 possible!